Whether it's to unwind from the complexities of everyday life or to soothe sore muscles and joints caused by sports or minor strains, relaxing in a hot tub can help you feel better – naturally. Since the time of the ancient Greeks, people have found natural healing powers in bubbling pools of hot water. Through the ages, the Romans, Greeks, Japanese and other cultures have realized its many benefits for spirit, mind and body. The heat, buoyancy and massage found in the warm, soothing waters of a hot tub create an experience that is both relaxing and rejuvenating. *Parts and equipment can be dropped off at the location closest to your home. All repair work will be performed at our Clarion, PA location. 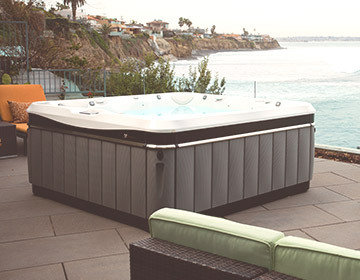 A beautifully sculpted acrylic swim spa can turn your home into a year-round oasis. 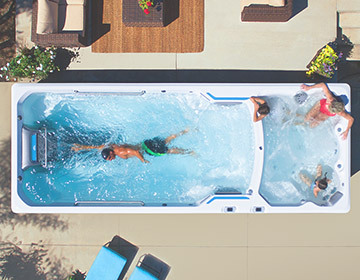 Of course, the Endless Pools Fitness System is so much more than a swim spa. It lets you swim, exercise, play, and entertain; it’s the perfect fun-and-fitness solution for family, friends, and solo retreats. 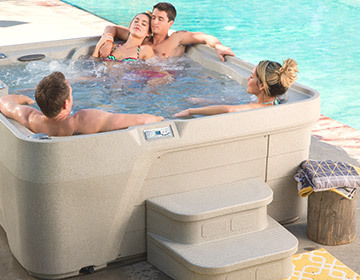 Hot Spring Spas are designed to provide the ultimate in enjoyment, ease of maintenance, endurance and efficiency. 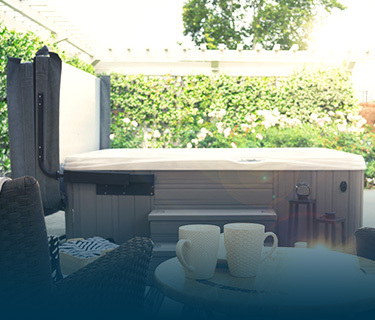 Through advanced engineering, their hot tubs deliver in every category including intuitive controls, a 100% no-bypass water filtration system and multiple layers of foam insulation to maximize energy efficiency. These exclusive features are just a few of the reasons why more people worldwide have selected Hot Spring Spas as their hot tub of choice. Caldera Spas represent the finest in luxury spas for the ultimate rejuvenation experience. Beautifully designed and styled with the widest range of options available, their models offer a serene, calming experience that helps release tension, reduce aches and revitalize the body and mind. 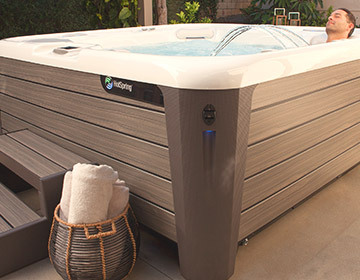 These comfortable, high quality hot tubs provide a superior blend of premium items to customize your spa to your specific style.